First look down Telegraph Avenue with UC Berkeley’s Campanile in the background. 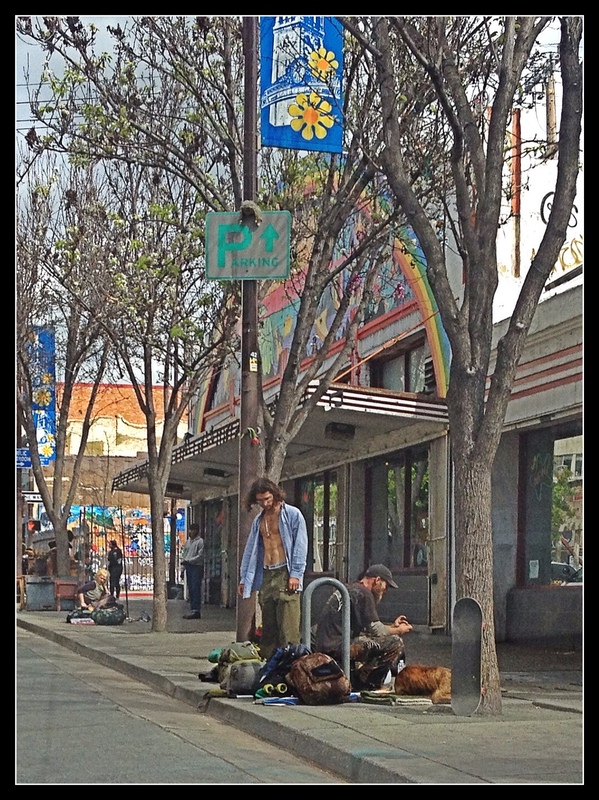 I was in Oakland South of Berkeley when I saw this weeks challenge of Street Life. My route home took me down Telegraph Avenue. Telegraph is a one-way street that dead ends into UC Berkeley. It is were homeless and college co-ed cross paths on a daily basis. I gave myself the assignment to take whatever photos I could from my car when it naturally stopped for traffic. These are the four pictures I came out with. It’s spring break so most of the images are of the homeless. I edited the pictures with as texture and color to give the people the grace they deserve. Telegraph Ave in front of what use to be Cody’s Used Book store a Berkeley institution where you could find any book you wanted. It was made useles by Amazon and Barns and Nobles. One more look at Telegraph. 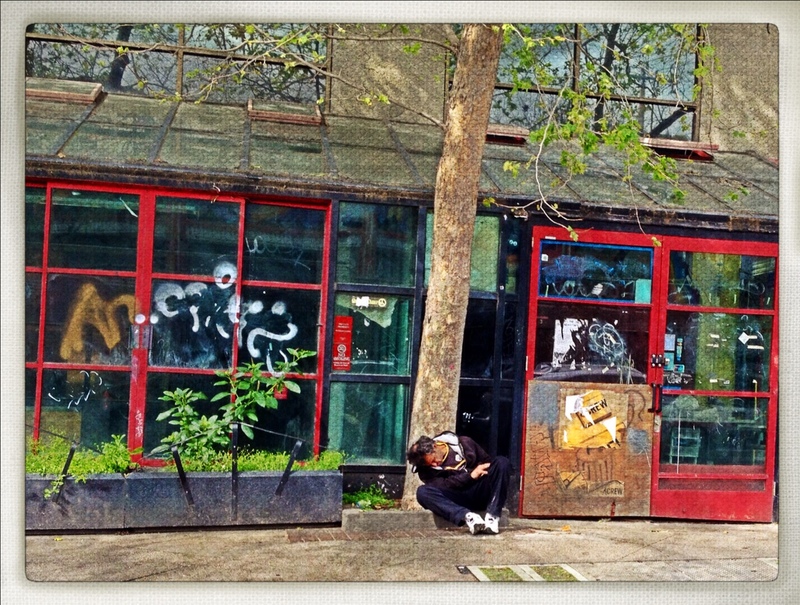 I’ll let the emotional impact of these photos stand alone as comments on homelessness. The challenge today was to show the character of a town by its streets. 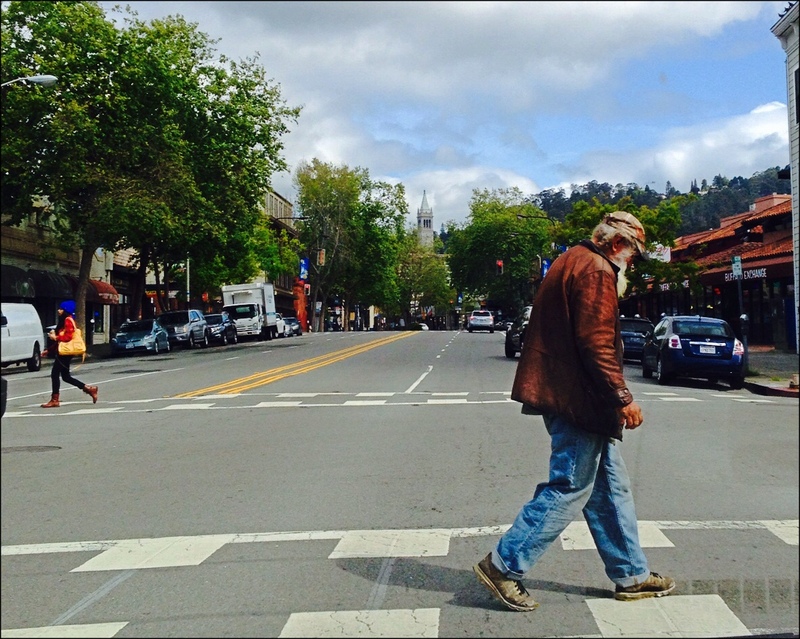 There is a lot more to Berkeley I just happened to be on Telegraph this morning. This entry was posted in Berkeley, Book Stores, Homless, Photography, Street photography, Visions, Weekly Photo Challange and tagged Berkeley, homelessness, Mental Health, Photography, Telegraph Avenue, UC Berkeley, weekly photo challenge. Bookmark the permalink. all cities have streets such as this…because we will always have the poor…the questionable middle class…and the rich…and the sections of the town reflect it! What’s interesting about Berkeley is that this is not a slum neighborhood. It’s just a place where the homeless are tolerated. that’s interesting…”tolerated”…I guess that’s a good thing! Your shots are beautiful. 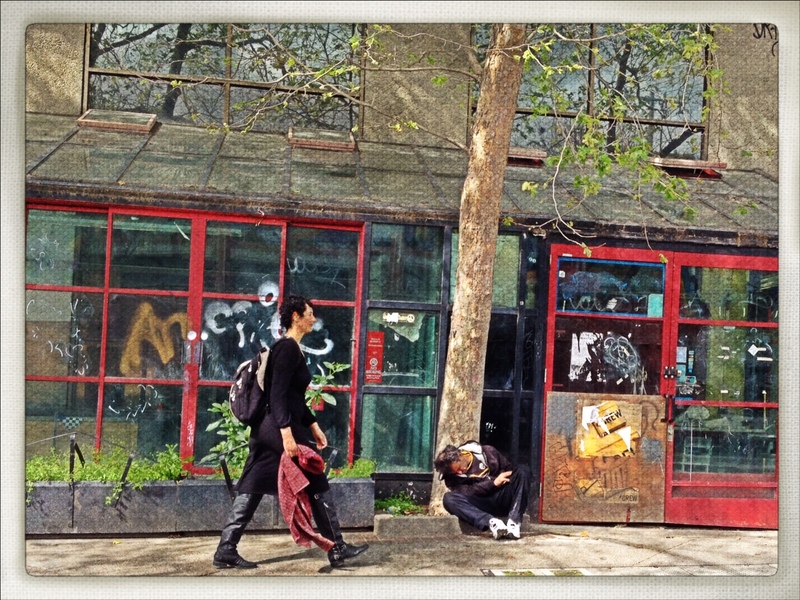 They remind me a little of paintings of street scenes. Great pictures though full of sadness in some. May I ask what app you used to make them looklikepaintings? I got the painterly quality because these photos are dramatically cropped which pixlates them then I used Phototaster. I may have also used Camera+ I did a lot of work to get the effect I wanted. I felt they deserved that dignity. My feelings are complex. The homeless issue is complex.